So you need a few ideas? You know you need to post consistently on Instagram to stay relevant, but you’re trying to figure out what to post. What kind of posts work best? Which posts will grow your audience and the depth of relationship that you experience with them? Ever since its creation, Instagram has grown. It’s now become the hub for people to share photos of their dog, food, new bathing suit, and boyfriends. And it also hosts a massive amount of influencers with massive follower counts. The platform has 800 million monthly active users, 500 million daily active users, 1.6 billion daily “likes,” and 60 million average photo posts every single day. In other words, there is no shortage of activity on Instagram. For fun, let’s break it down by seconds. Every second, Instagram sports 17,000 likes and 2,000 comments. So don’t wonder about the potential of Instagram. There is plenty of promise on the platform. The question you should ask is, “How do I claim my piece of the pie? After all, that massive amount of activity provides competition to match its opportunity. How do you stand out when there are so many other people trying to stand out as well? That’s a far more important question. And the answer isn’t that complicated. In the end, you only need to do one thing on Instagram to build the following that you dream of: post engaging content. Literally. That’s it. If you post engaging content, then more people will engage with you, follow you, comment, and “like” your stuff. If your content isn’t engaging, you don’t stand a chance. So without further ado, here are 5 ideas for posts that your followers (and followers-to-be) will love. What if there was a way to produce amazing Instagram content without any of the work? But seriously, there is. You already have an audience. Maybe it’s hundreds of people, and maybe it’s thousands. Whatever the case, you can leverage that audience to create content for you. And, generally speaking, your followers will enjoy that user-generated content more than they’ll enjoy your own. Because it’s authentic, fun, and varied. And everyone loves those three things. GoPro is the hallmark example of user-generated content, and their Instagram profile is no exception. Here’s a beautiful photo that one of their users took recently, which they then posted. Now you might be wondering, how do you get your users to engage with your prompting to create and send content your way? Well, it’s far easier than you think. Remember: your audience probably wants followers of their own. Let them know that if you select their photo, you’ll tag them in your post — meaning that they’ll grow their audience as well from the publicity. If done right, user-generated content provides a win-win scenario for the business and the customer. Here’s another photo they posted of a surfer enjoying the sunset. GoPro treats this like a competition. Which is good. Most people love to throw their hat into a friendly competition — especially when there’s the chance of gaining a bigger follower base. 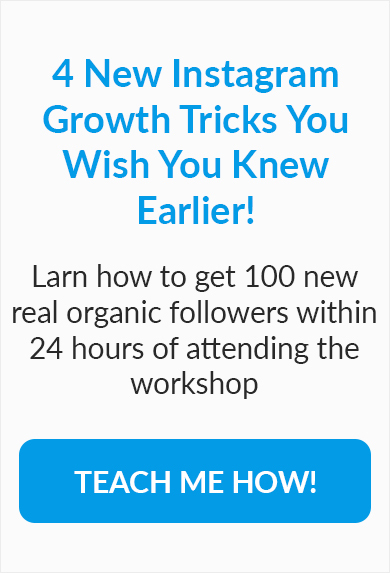 Truthfully, you’ll never know how your audience will engage with this concept unless you try. You might be surprised at their willingness to participate. The other side of this user-generated content coin is that you have to wisely pick which photos to post and which to ditch. This can be a difficult process. Here are some things you’ll need to consider when choosing a winner. Does this photo emphasize the brand image you’re trying to create, or does hamper it? Is the photo appropriate for your audience? How big is the following of the person whose photo you’re going to share? The first is important because you’re running a business, and despite all of the fun you can have on Instagram, you need to ensure that each photo is consistent with your brand’s message. The second is important because, well, every business has a different audience. Some images will be appropriate for that audience, and others will not. And the third is important because the street goes both ways. If you share someone’s photo who has a lot of followers, those followers might join your own Instagram crusade. Don’t be too biased to posting influencer content, but keep in mind that when you do, you’ll probably reap some follower-count benefits. This post from GoPro does a great job implementing all three of these factors. Prompting your audience to send in photos of them using your product is a great way to generate engaging content without much hassle. You’re running a business, and so you always want to put your best foot forward. I get it. You want to send a consistent, high-quality message to your audience… every time. And you’ve probably been aiming for that standard for a while. Which is good. If you don’t produce high-quality Instagram posts, most of your followers probably would be behind some other guy. But every once in a while, people enjoy getting a peek behind the curtain of how all of it happens. I, for example, am obsessed with the end of every Game Of Thrones episode where the directors discuss how the episode was created and why they filmed it the way they did. Because the episode is always amazing, and learning how they put it together is even more so. You can create the same effect with your Instagram photos. Consider this Instagram post from Thinkcreativecollective. Most people with a desire for perfection would be hesitant to post a photo like this on Instagram because of the level of transparency involved. She’s trying to work while she takes care of the baby, and there’s a dog in the background. At the same time, you gotta give it to her. Something about this photo is straight-up endearing. It illustrates a reality about life that most people aren’t able to capture in an Instagram post. And people love authenticity. Here’s another example from a friend of mine, Tricia Lake, who has a youtube channel where she runs makeup tutorial videos. I love this post. Normally, her videos and pictures are of attempted perfection. The perfect makeup with the perfect expression and the perfect lighting and edits. And that’s why people love her. She’s good at it. But with this off-color post, she shows her child dancing around on her lap while she holds an iced coffee and sits in her filming station at home. Again, the picture is touching in a way that most Social Media posts aren’t. There’s a certain “I’m not perfect either” statement that attracts her audience and makes them want to engage with the more relatable version of her. After all, if your audience can’t relate to you, then they won’t follow you. The post could even be something as simple as a picture of your workstation, like this picture from Kate.Lives.Here. You can tell that this post is staged more than some of the others, but it has a similar effect. The point is that people want to get behind the screen you’re posting to. They want to get behind the camera and see the real you. It’s easy to live a facadé on Social Media, and even beneficial for your business at times, but a healthy dose of transparency will also work wonders for your followership. 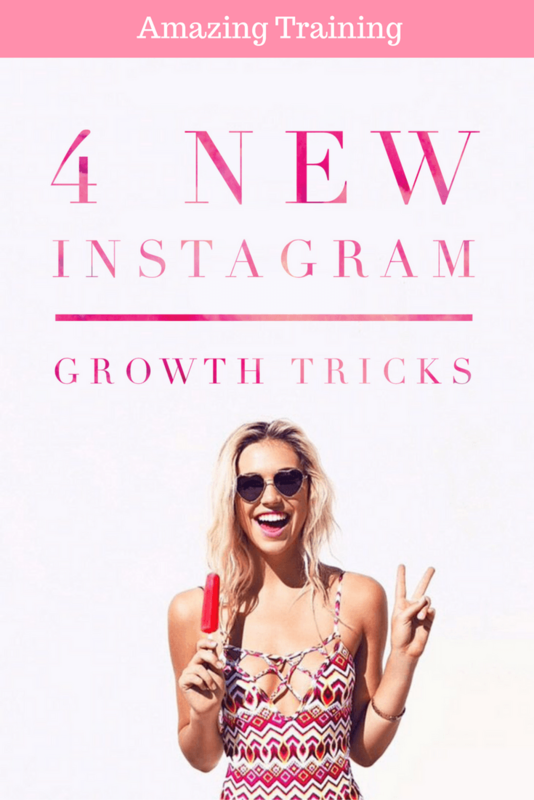 What if you could sell your product using Instagram product teasers? Well, now you ca— Dang it. Infomercial again. Nevermind. Instagram is an excellent platform for advertising your product, and if you do it right, you won’t scare people off. That is what we’re often afraid of, isn’t it? That we’ll be too pushy or too sales-y or too demanding and we’ll lose followers faster than a fat kid eats hotcakes. But product teasers are a great way to talk about your product without trying too hard. Here’s an Instagram advertisement from Gilt Man that doesn’t directly try to sell a product, but rather offers a free app where you can browse their inventory. They offer a compelling 70% off discount and show a classy picture of some of the clothes you’ll be able to purchase. Who said, “I don’t want to see that”? Oh. None of us did. Because it’s awesome. As you can tell, the ad received over 30,000 likes and over 500 comments. That’s a lot of action for a clothing advertisement. And it’s because the ad isn’t pushy and teases people into downloading the app with the discount and image. Similarly, this post from Macy’s teases its audience about seasonal products without trying to force their hand. When you tease people about a product that they like, and you don’t try to shove them into buying it, they’ll — here’s the big surprise! — buy it. Or they’ll at least engage with your Instagram post. Which is what you’re here for anyway. Since you’re running a business and you have a product to sell, don’t be afraid to show followers what you’ve got brewing. Just do it correctly. Can’t think of anything cool to take a photo of for your next post? Canva provides a free solution. With Canva, you can find stock photos for free and even more for $1. You can edit those photos, putting text on them with a font of your choosing. Here are a few posts that my good friend, Michael Blankenship, has made recently. These kind of quotes are a great way to strengthen your brand’s voice and image. First, determine what you want to communicate to your audience about your business. Do you want to come off fun, formal, or on fire? Then, simply dig up a quote from an expert, a guru, or a piece of content and plaster it onto a well-designed background using Canva. Post it and ask for people’s opinions on the quote. You can also take a quote from a piece of content that you created, post it, and use it to drive some traffic to your website. Michael does this with his Instagram posts. He even throws in the link so that people can easily copy and paste it into their browser. Whenever you’re in doubt about what to post, Canva is a great place to go. Find a quote, make it look pretty, and post it. We already talked about showing people behind the scenes of your business, but there’s something else that you can do as well. Something similar. Celebrities are notorious for always putting on a face and always being a little bit fake. However, this post from Selena Gomez, where it’s simple and feels authentic, is the second most-liked post on all of Instagram. People love to see a different side to you, your business, and your everyday activities. They want a peek into the real stuff. You can also use this principle to give your audience a laugh. Yep. This post is weird. But it’s also unique, funny, and positions Amazon as a business that is fun to work at and with. Depending on what you want to communicate with your Instagram account, decide on the sort of authenticity to reveal. Read the hilarious caption of this post. People love honesty, and humor is a great way to accomplish that. When a business can laugh at itself and enjoy the finer things in life, many people want to tag along. There isn’t a science to authenticity. But it’s undeniably powerful when you get real with your audience. Keep in mind that there is a healthy middle ground that lies somewhere between authentic and fake. If you’re too fake, people can tell, and they’ll click the “unfollow” button. If you’re too authentic, sometimes stuff can get weird. Both are fine… sometimes. But you’ll ultimately want an adequate dose of both. In the coming years, Instagram will only continue to grow in influence. And the people who tag along for the ride are the ones who will benefit most from its lucrative journey. Since Instagram is still largely free of the clutter that many Social Media platforms experience, tagging along now is easier than it will be in the future. To do so, you’ll need followers. And to keep those followers, you’ll need to post engaging content. Engaging content means user-submitted photos, behind-the-scenes images, product teasers, Canva posts, and authentic pictures. With these 5 ideas at your disposal, no one will be able to stop you from becoming the next big Instagram influencer.